I am pretty sure everybody knows the scenario in the picture above.. If you do not know it, you might just started with cryptocurrencies, right? The next time when fear and greed are kicking in, remember this picture and stay calm. Lesson to learn: Don't be greedy! 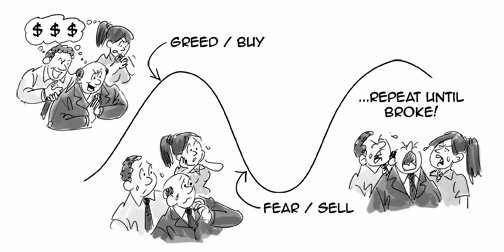 I reckon greed and fear are the same emotional nexus. I made a video on this.